Cheers and applause greeted the international trade union confederation ILC that was founded in Parma, Italy, on 13 May 2018. 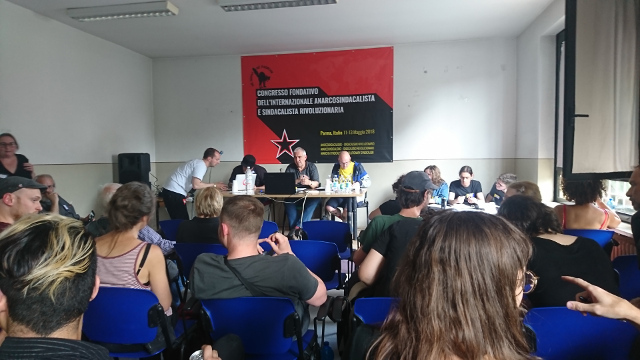 For days, delegates from seven countries had discussed statutes and priorities, paving the way for a new militant International of syndicalist unions, to counter globalized capitalism and the authoritarian developments in Europe and the Americas. 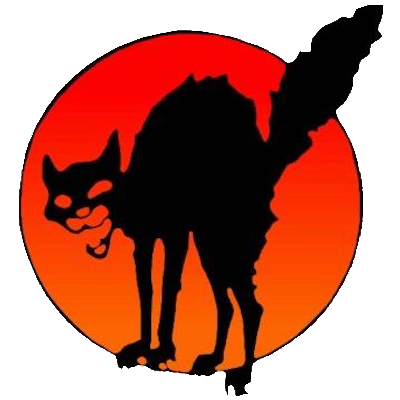 Besides the CNT (Spain), USI (Italy) and FAU (Germany), IWW (USA and Canada), ESE (Greece), FORA (Argentina) and IP (Poland) are founding members of the International Labour Confederation. Other unions expressed their interest by participating as observers in the congress, among them the CNT-F (France), FOB (Brazil), Vrije Bond (Netherlands and Belgium), GG/BO (Germany) and UVW (UK). The union International aims to unite the struggles of workers, particularly to enable the cooperation across borders between branch groups in the same sectors and companies. Joint workshops will create opportunities to learn from each other how to win. The initial focus of the ILC will be on the food, logistics and education sectors. A joint day of action and strike on 8 March will highlight feminist struggles.